Some 69,000 first time buyers have benefited from the abolition of stamp duty tax since it was introduced by the Government last November. The official figures covering the period until the end of March 2018 show the numbers who have not paid the tax when buying a home under £300,000. Over the next five years, it is estimated that the policy will help over a million people get onto the housing ladder and those who have bought properties of up to £500,000 will also have benefited from a stamp duty cut. 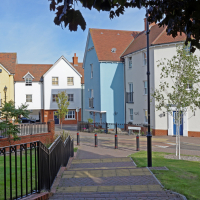 ‘I’m proud that the cut to stamp duty for first time buyers is helping to realise the dream of home ownership for a new generation, alongside building more homes in the right areas,’ said Financial Secretary to the Treasury Mel Stride. The figures also show that over 387,000 people have now used the Government’s Help to Buy scheme, and over 1.1 million accounts have been opened with the Help to Buy ISA, offering government bonuses of up to £3,000.They reveal that the median age of a first time buyer in the Help to Buy scheme is 27, compared to a national first time buyer median age of 30. Housing Minister, Dominic Raab, said that the figures build on the Government’s long term commitment to make housing more affordable. As part of the Autumn Budget housing package, the Chancellor announced at least £44 billion for housing, which includes at least £15.3 billion of financial support for house building over the next five years, and an aim to build 300,000 new homes a year in the areas that need it, as well as encouraging better use of land in cities and towns. According to Kate Davies, executive director of the Intermediary Mortgage Lenders Association (IMLA) the statistics show that there is still considerable appetite for Help to Buy among first time buyers. ‘As we approach what is a pivotal juncture for the industry with the scheme due to come to an end in 2021 clarity is urgently needed over what will come next,’ she said. ‘The scheme has already helped over 150,000 households into home ownership –and with the Government setting itself targets to build a million new homes by 2020, it seems counter-intuitive to close the door on what has been a successful vehicle for helping to purchase those new homes,’ she explained. She pointed out that the IMLA’s own research shows that the Help to Buy scheme made up 27% of all new housing completions between April 2013 and March 2017, so its role in helping people get onto the ladder cannot be underestimated. ‘The Government has emphasised its commitment to mend the broken housing market, to speed up the planning process and to improve the whole buying and selling experience for consumers. But it will take time to put these proposals in place, and longer before their effects are felt. Help to Buy’s impact has been fairly immediate and it’s unclear why it should not continue,’ she added. She also pointed out that 43% of all new build properties are currently dependent on Help to Buy, so the potential effect of any withdrawal would be significant, not just to developers and lenders, but also to consumers who may, in turn, see house prices increase. ‘The IMLA, along with many industry stakeholders, would welcome an announcement, or at least a firm indication, that some form of government support will continue post-2021. We would welcome discussions with Government as to what that continuation might look like. Some adjustments might be appropriate given the experience to date but the impact which the scheme has had on new home ownership is surely too significant for it simply to be abandoned at this stage,’ she concluded.